A decade ago, Nokia was the leading brand in mobile phone industry. Then smartphones came into the picture and the baton was exchanged a few times, finally resting in Samsung's hands. 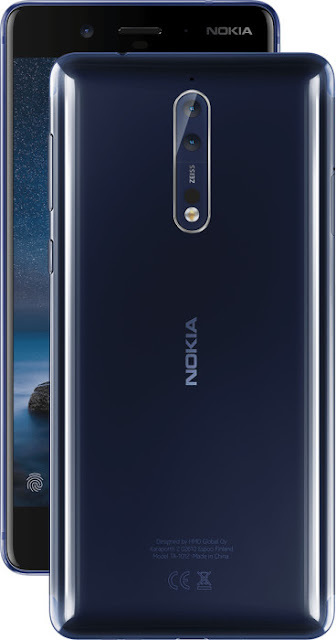 Now after a few years' hiatus, Nokia, currently under HMD Global, is trying to gain their lost position by releasing an array of Android smartphones, and the flagship model from the new line-up has reached the Indian shores. 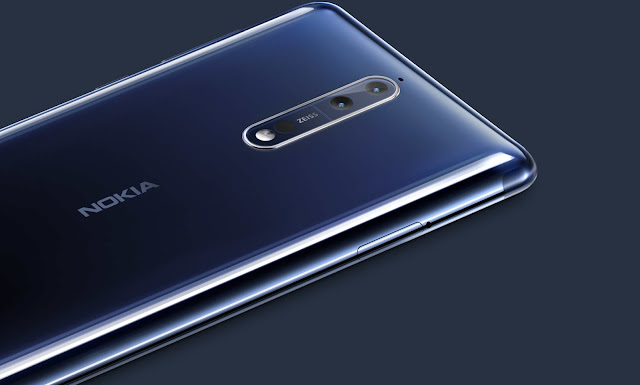 HMD Global has announced the launch of the flagship Nokia 8 in India. The Snapdragon 835 touting Nokia 8 packs in great hardware such as Zeiss optics and OZO Audio. Ajey Mehta, Vice President - India, HMD Global, said: "Millennials, today, are always exploring new ways to create and share content. It's these creative content creators who inspired us to craft a smartphone with them in mind. That's why we've worked to bring three world firsts – the debut collaboration with ZEISS, OZO spatial 360° Audio, and real-time live streaming using Dual-Sight mode." Speaking on the launch, Larry Paulson, Vice-President & President, Qualcomm India, said "Nokia 8 is the first device from Nokia on the Snapdragon 800 Mobile Platform. With an advanced 10-nanometer design, the Snapdragon 835 Mobile Platform offers phenomenal mobile performance on the Nokia 8, delivering an exceptional user experience." 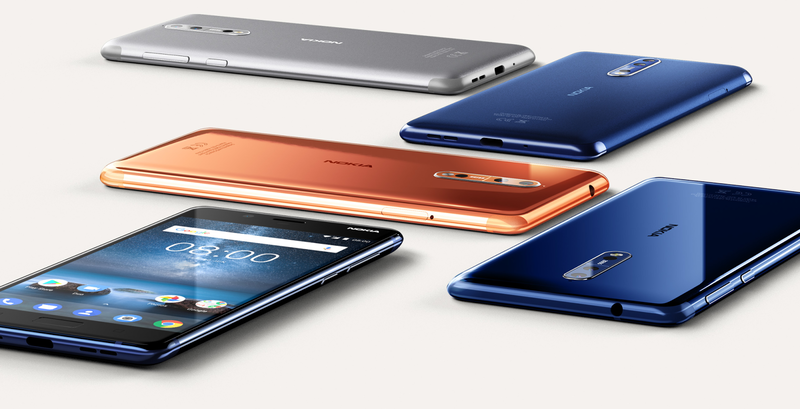 The Nokia 8 features a Snapdragon 835 processor with Adreno 540 GPU handling its graphics. The highlights of this phone are a dual 13+13 MP real camera setup by Zeiss optics, enhanced audio experience with the inclusion of OZO audio. 4 GB of RAM is couple with 64 GB internal storage, which can be expanded via microSD card by up to 256 GB. The display is a 5.3 inch QHD IPS LCD panel with Gorilla Glass 5 protection. Out of the box, Nokia 8 will be running on Android Nougat, and will be receiving the Oreo update. There's a Bothie feature through which users can stream videos to social medias like Facebook or YouTube from both cameras simultaneously. Click here for the detailed coverage of features such as OZO audio and Bothie. The Nokia 8 will be available at major retail outlets across the country including Croma, Reliance, Sangeetha Mobiles, Poorvika, BigC (among others) and Nokia's online partner Amazon.in. Availability: From October 14 at the retailers mentioned above. Additional Offers: Jio customers will get up to 100GB additional 4G data on Nokia 8. This will be limited to 10GB extra data for each recharge of Rs. 309 and above, for a maximum of 10 recharges till August 31, 2018. Nokia 8 consumers will also have access to special Nokia Mobile Care Concierge Service in 50 cities across the country. Nokia 8 consumers from these 50 cities can avail of Nokia Mobile Care services from the convenience of their homes.